Novatek has supplied Zvezda Shipyards with documentation necessary for the construction of 15 LNG Arctic tankers for Arctic LNG-2, TASS reports, citing Leonid Mikhelson, Novatek's chairman of the board. "We are currently holding talks through Sovcomflot, and we have provided Zvezda Shipyards with all the documentation necessary for the construction of Arctic ships, which will bring LNG tankers ordered by our carriers to this trans-shipment point," Mikhelson said. Earlier Mikhelson stated that Novatek is planning to use tankers built in Russia for its LNG projects, TASS writes. Before that, President Vladimir Putin said that oil companies should place more orders at the Zvezda Far East Shipyards, since it has the capacity to complete these orders. 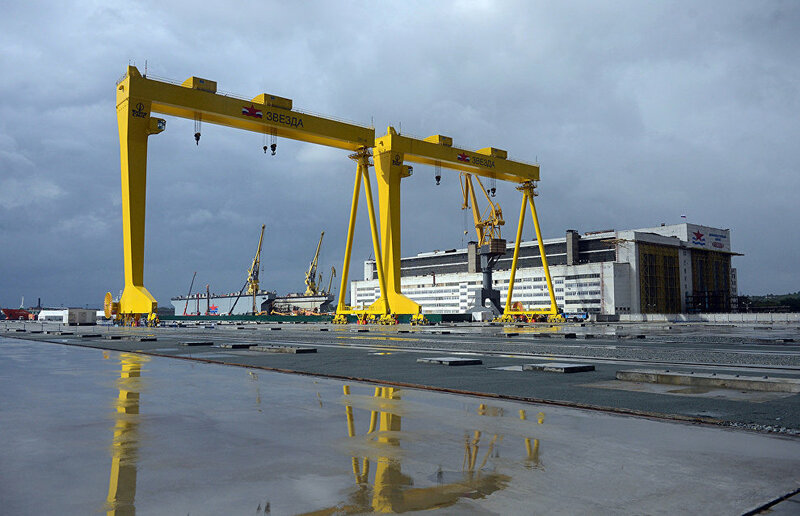 Since 2009, the first Russian shipyard for building large ships with a processing capacity of up to 330,000 metric tons of steel per year has been under construction at the Zvezda plant in Bolshoy Kamen. The Bolshoy Kamen priority development area was launched on the basis on this project. In the beginning of September, President Putin took part in the keel laying ceremony for four multifunctional supply vessels to be built at Zvezda Shipyards for Rosneft. The four vessels were named Vladimir Monomakh, Alexander Nevsky, Yekaterina Velikaya and Svyataya Maria.